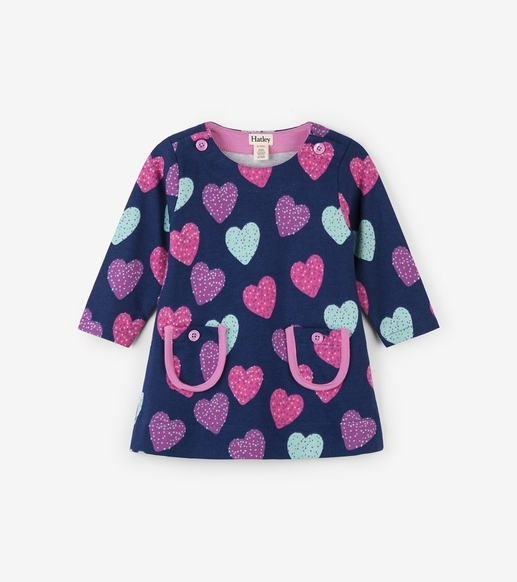 This cute little mod dress features fun sprinkles hearts thru out! Each dress is perfect paired with leggings and features 2 pockets and buttons at the neckline for easy on-and-off. By Hatley.